Plus Hawaii for only 8,750 miles more than economy, or mid-haul flights for only 3,750 miles more than economy. New Europe Upgrade Buffet Now Through Sept. 17: What Would You Like? 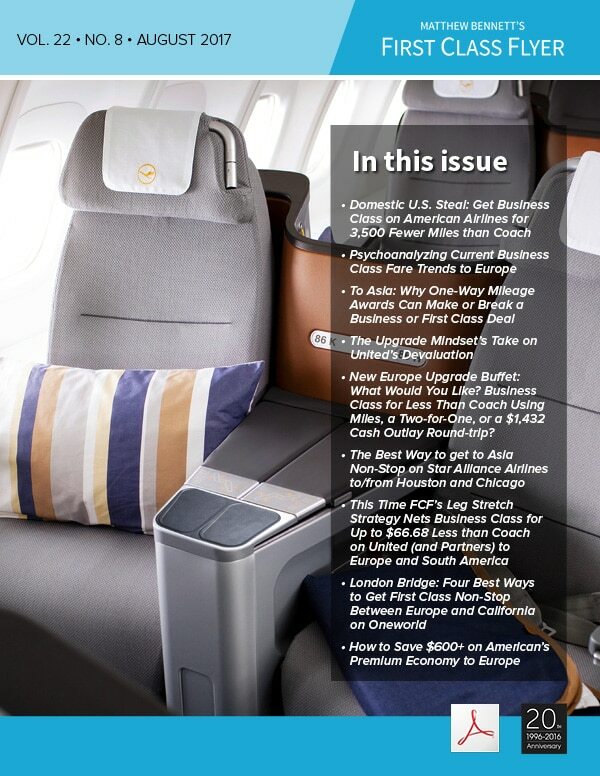 Business Class for Less Than Coach Using Miles, a Two-for-One, or a $1,432 Cash Outlay Round-trip?